We take our quality standards seriously, and we recently did a blind test with students, local musicians, writers, and business professionals to determine the best paper. 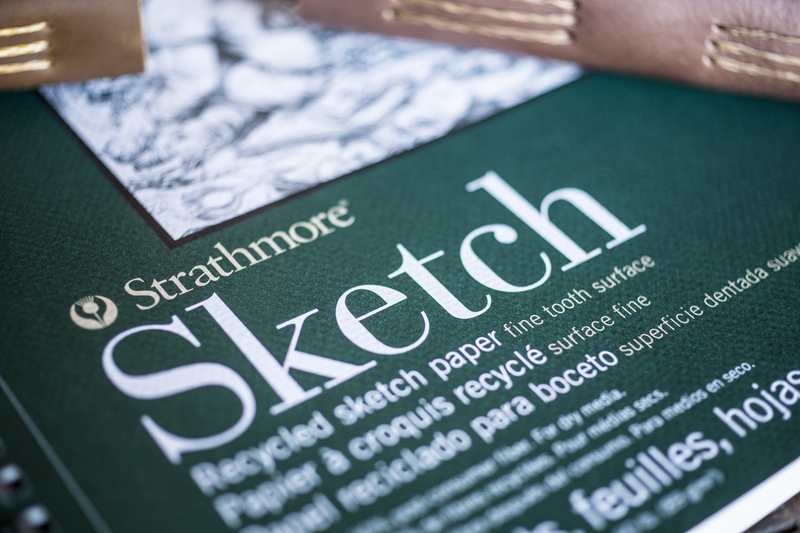 In the end, 80% of our test group preferred Strathmore recycled sketch paper, which was compared to high-end, handmade paper that is popular in many journals, along with various paper from reputable manufacturers. We identified four characteristics of paper that were the most important to our participants, and Strathmore recycled sketch paper was preferred in each of the following categories: Absorbency, Bleed, Weight, and Feel. While the pages of Strathmore appear thin, individuals are always surprised at its durability, unassuming thickness, and incredible ease of drawing and writing with our small and medium-sized journals. A common participant response was to question why handmade paper was deemed as being high-quality, given its obvious deficiencies. Using Strathmore as a paper for our journals is more expensive, but we only create products that we would use. 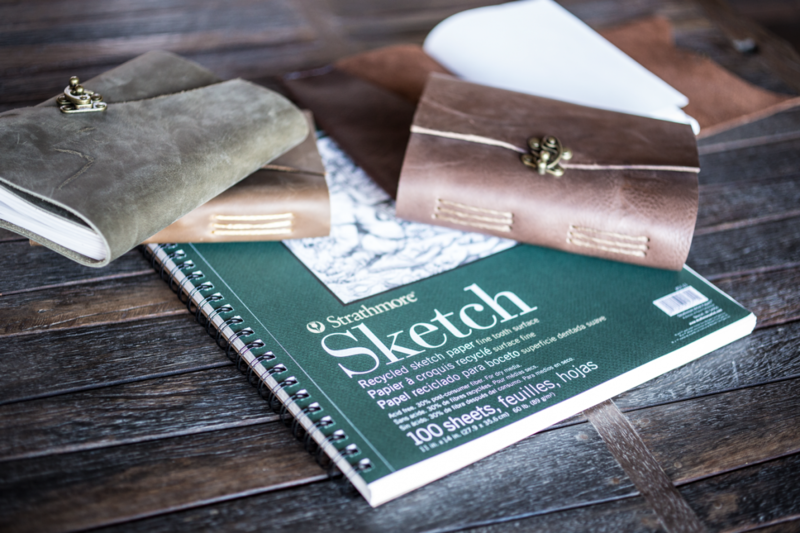 Nuances such as Strathmore paper and truly top-quality leather allow people to experience the feel, the smell, and the texture of luxury at an affordable price.